Biography: GX International is an evangelistic youth ministry that does city-wide outreaches around the world using extreme sports, dance and music, combined with preaching the Gospel. The ministry was founded in 1997, and Nate became involved in the ministry in 1998. Rute became part of the team after their marriage a few years later. They have taken teams to conduct city campaigns in at least twelve nations including Brazil, Europe, Australia and New Zealand, and 30 states within the US. They organized and directed a bilingual discipleship and evangelism five-month course in Rute's home country, Brazil. Nate says, "GX is young men and women released in aggressive evangelism to proclaim with power the gospel of Jesus Christ to the ends of the earth." 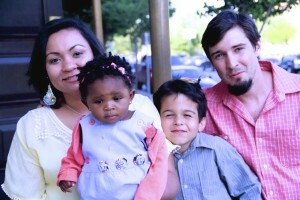 Nate and Rute are members of Faith Ministries World Outreach Center where Dennis and Denise Capra co-pastor. In 2012, Nate and Rute began Foolishness International, along with FMIN Partners Paul and Pamela Sichone, to begin an orphanage in a very isolated part of Zambia. Strengths: Nate is called to be an evangelist. His passion is to proclaim Christ outside of the four walls of a church. Rute is insightful into individuals and situations. She is very sensitive to what God is saying and also to the needs and emotions of others.